Sankaty Serenity! 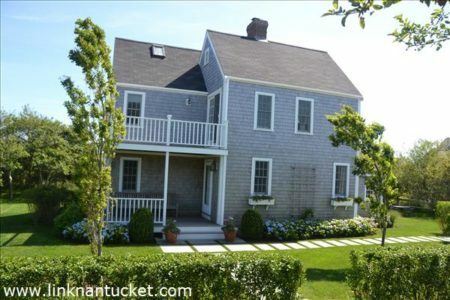 Lovely turn key two story home in Sconset with distant peeks of Atlantic Ocean over Sconset Trust land and view of Sankaty Lighthouse. Fully restored and lovingly updated quintessential Sconset cottage. An inviting four season home situated on a beautiful piece of land with wonderful outdoor living surrounded by a lovely landscaped lawns and gardens. Furnished with a tasteful assortment of designer selections and quaint antiques with an inviting palette of color and texture. Excellent location on quiet stretch of prominent Sankaty Ave, one mile to the village and situated on the bike path. Beach goer’s choice abound with easy distance to Sconset Beaches, Quidnet and Wauwinet! Ability to expand to over twice the existing footprint makes this property a perfect choice for those who want options: perfectly outfitted and appointed for immediate enjoyment or as an investment or rental property while allowing the opportunity to expand the home or build an outbuilding in the future. A must see in Sconset!